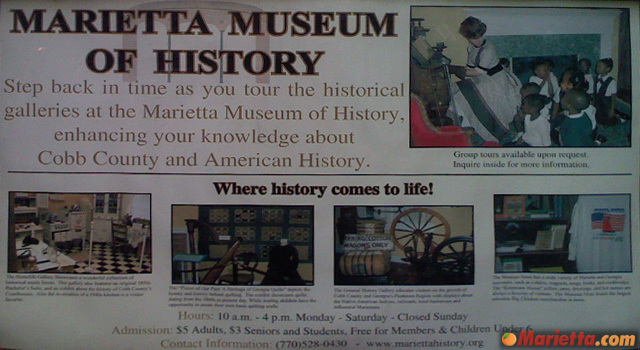 Established in 1996, the Marietta Museum of History seeks to showcase and preserve the history of Marietta and Cobb County. 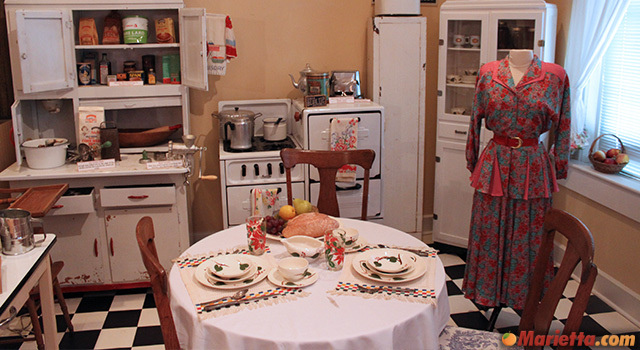 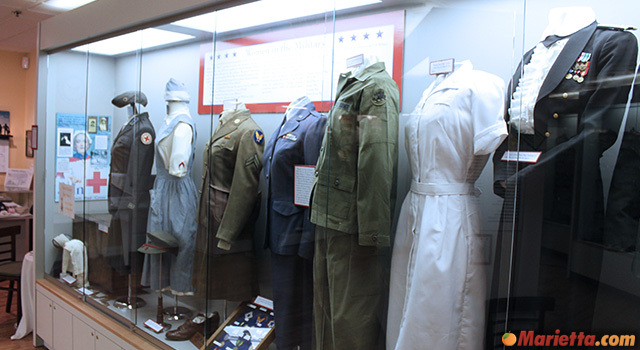 The museum houses permanent exhibits about the General History, Home Life and the Military. 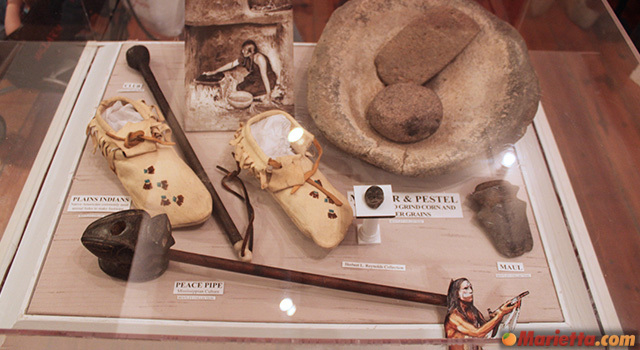 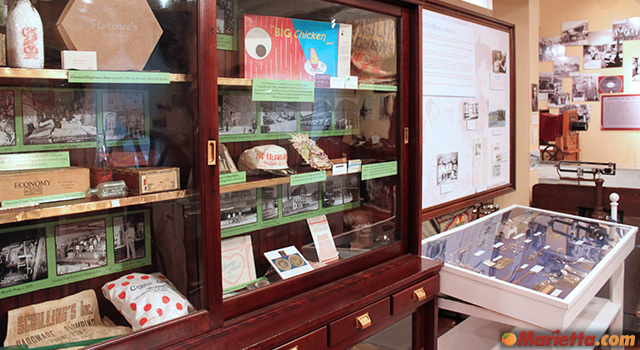 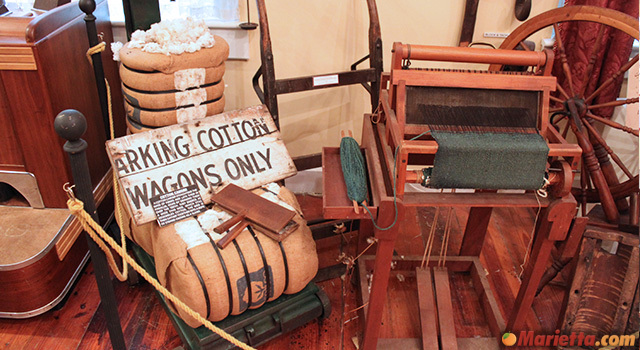 Additional temporary exhibits highlight other unique facets of local history as well. 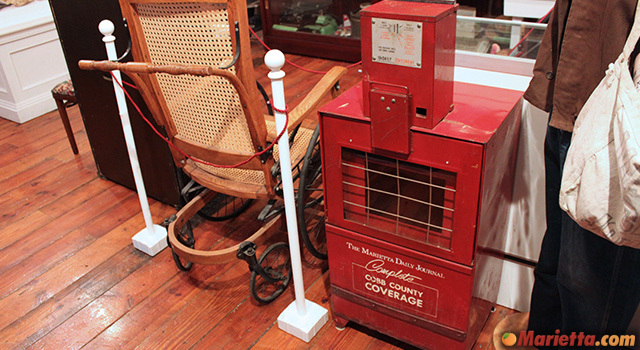 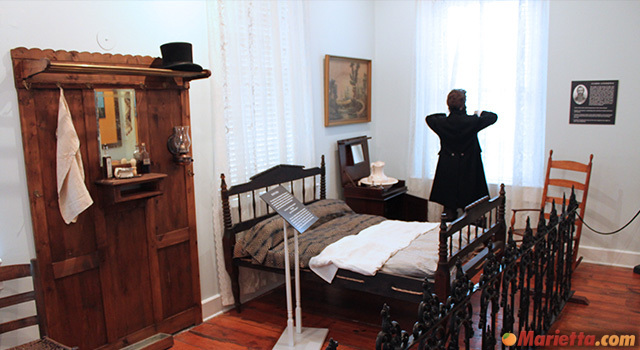 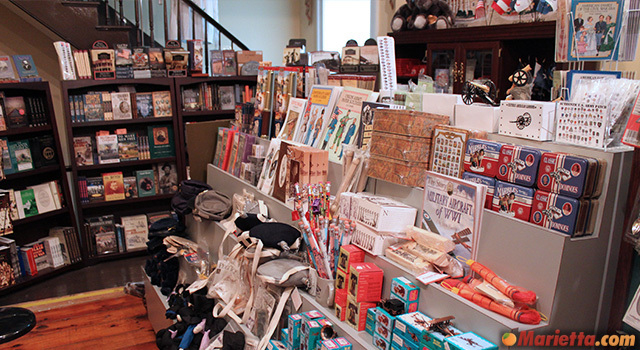 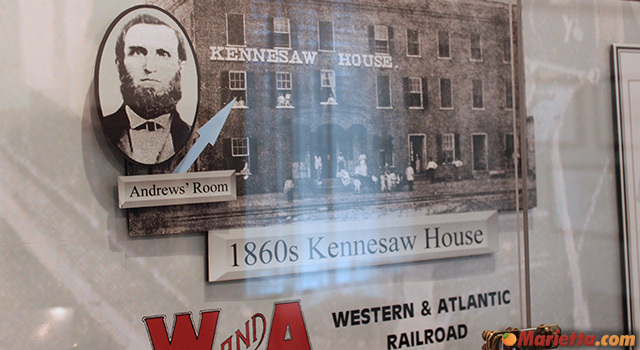 The museum of proud to house the largest collection artifacts relating to Marietta and Cobb County’s history. 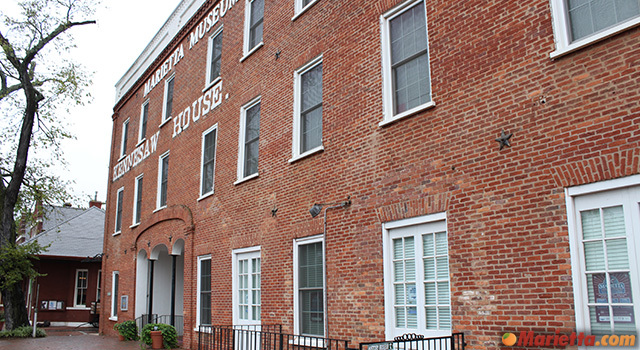 The museum is open from 10:00 am to 4:00 pm Monday through Saturday, and is closed on Sundays, Easter, Memorial Day, Fourth of July, Labor Day, Thanksgiving, Christmas (Dec. 24-27), and New Year’s Day. 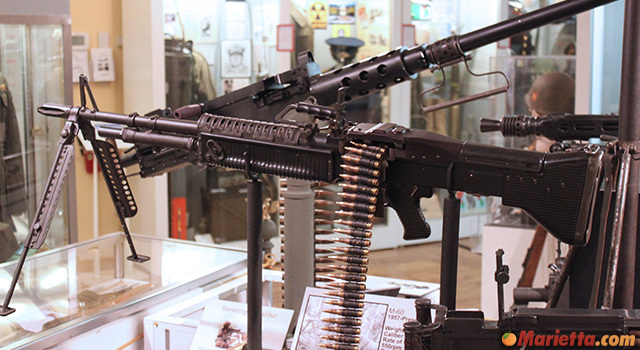 Admission is $7 for Adults, $5 for students and seniors (55+), and free for children under 5 as well as active military with i.d. 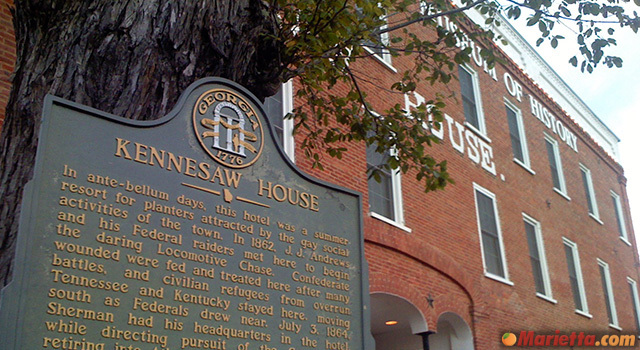 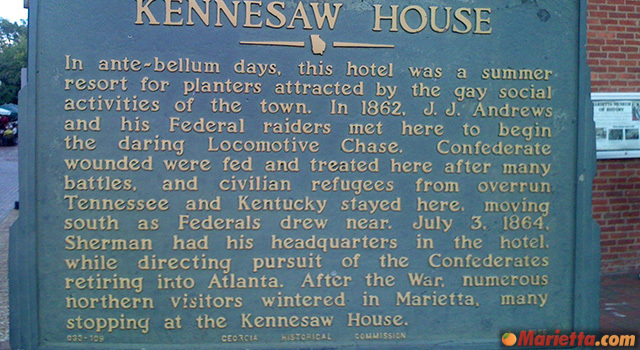 The Marietta Museum of History is located in the historic Kennesaw House. 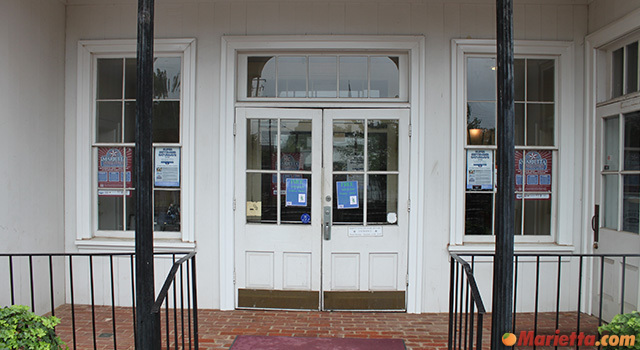 The front door faces the railroad tracks and is next to the Marietta Welcome Center.